In 1964, Muhammad Ali said of his decision to join the Nation of Islam: "I know where I'm going and I know the truth and I don't have to be what you want me to be. I'm free to be what I want to be." 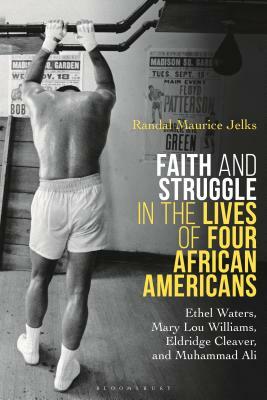 This book explores the faith stories of four African Americans: Ethel Waters, Mary Lou Williams, Eldridge Cleaver, and Muhammad Ali. It examines their autobiographical writings, interviews, speeches, letters, and memorable performances to understand how each of these figures used religious faith publicly to reconcile deep personal struggles, voice their concerns for human dignity, and reinvent their public image. For them, liberation was not simply defined by material or legal wellbeing, but by a spiritual search for community and personal wholeness. Randal Maurice Jelks is Professor of American Studies and African and African American Studies at the University of Kansas, USA. His previous books are both award-winning: African Americans in the Furniture City: The Struggle for Civil Rights Struggle in Grand Rapids (2006) and Benjamin Elijah Mays, Schoolmaster of the Movement: A Biography (2012).